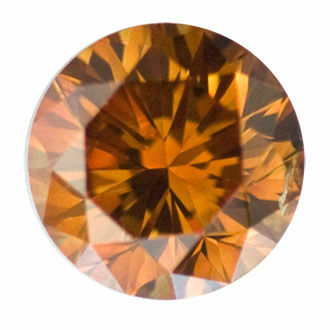 This Fancy Deep Brownish Yellowish Orange diamond is a 1.25 carat round gem with good polish. Its SI2 clarity and fair symmetry make it an attractive gemstone. With measurements 6.73-6.76x4.33, it is perfect for many jewelry pieces, its secondary brown and yellow hues further enhancing its appeal.